Airwairs original signature leather: a firm, finished leather with a smooth, semi bright appearance with heavy studding on vamp and collar made with smooth and durable Dr. Martens leather. 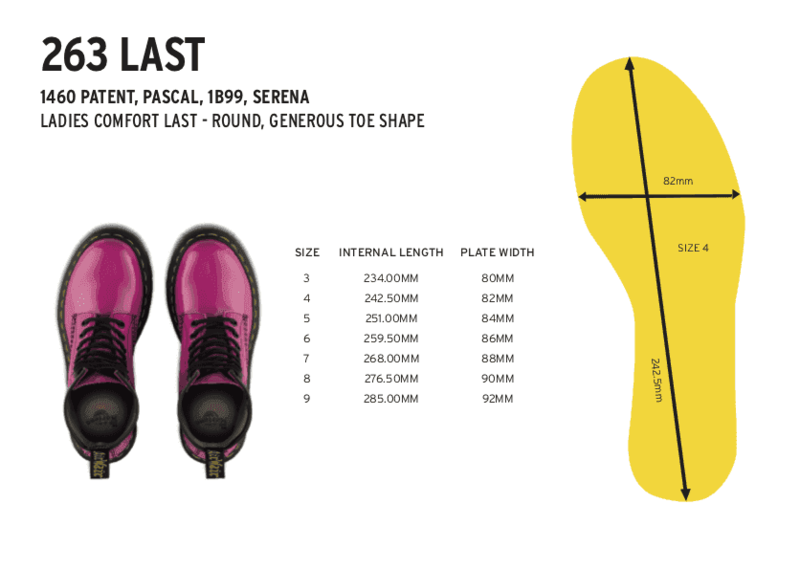 Built on the iconic, durable Dr. Martens air-cushioned sole with slip-resistance and abrasion. This is a goodyear-welted product. This is the 1490 Stud, a fierce and rebellious remix of our 10-eye boot made famous by punks in the 70s. This version turns up the volume on the punk influence, with studding, a platform sole and a monochromatic color scheme.